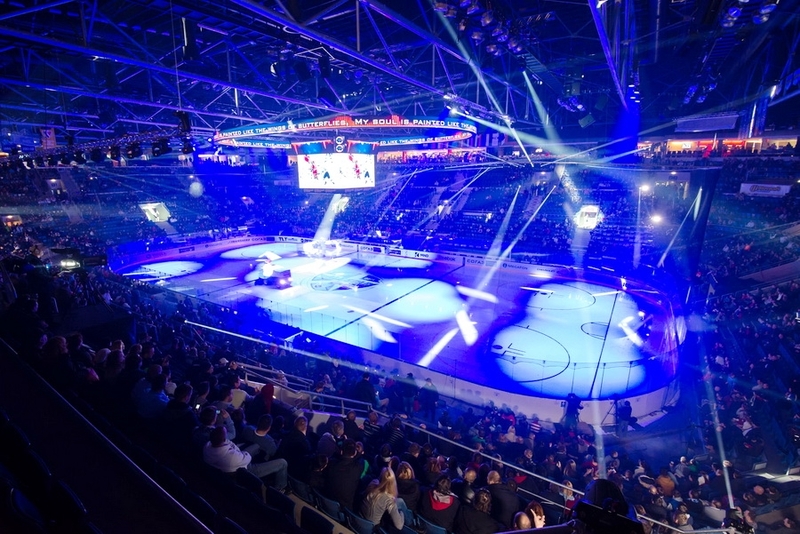 The Kontinental Hockey League’s All Stars gathered on Jan. 14 for a day of fun and games in HC Slovan’s home arena. 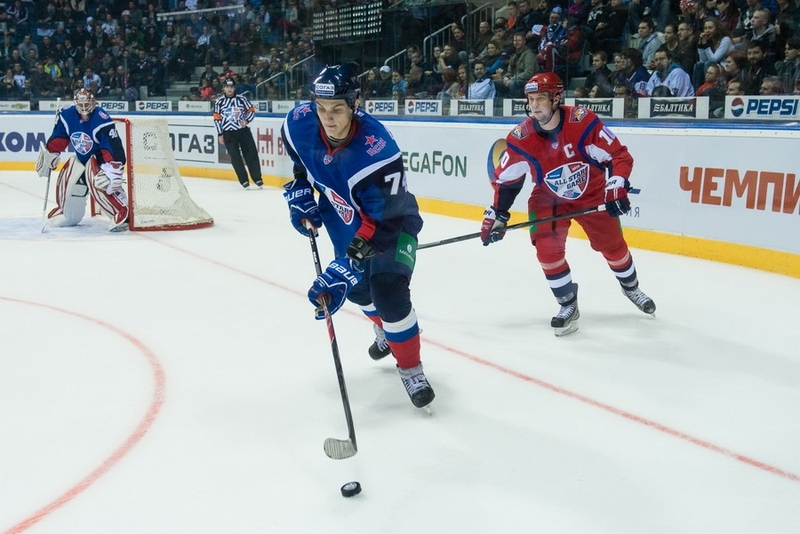 Instead of the usual half-speed game that all stars generally produce, the KHL showcases a skills competition that see the All Stars having fun on the ice, even featuring a shirtless goalie in the shootout! The fastest lap around the rink had goalies racing in full pads and the Mascot Competition resulted in a full-on line brawl! The West All Star squad took honors with a 4-3 victory in the skills competition. 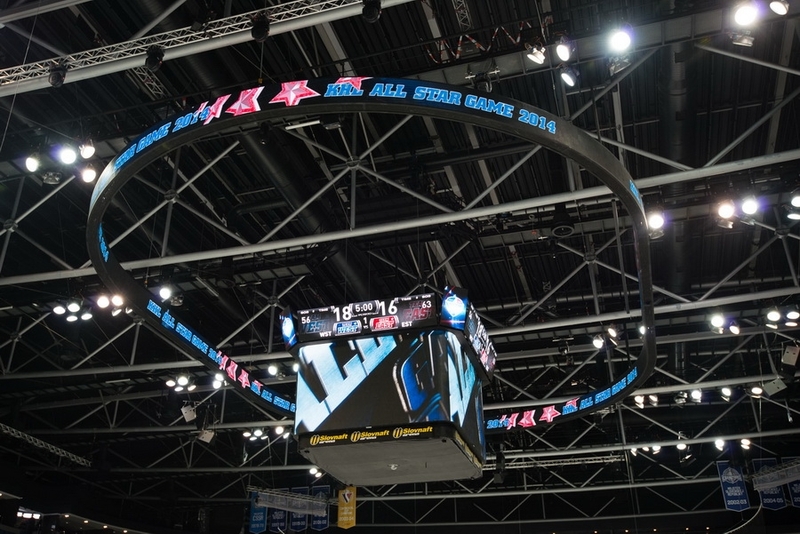 All events were featured in high definition on Slovan’s gigantic video Cube, made by ColosseoEAS. 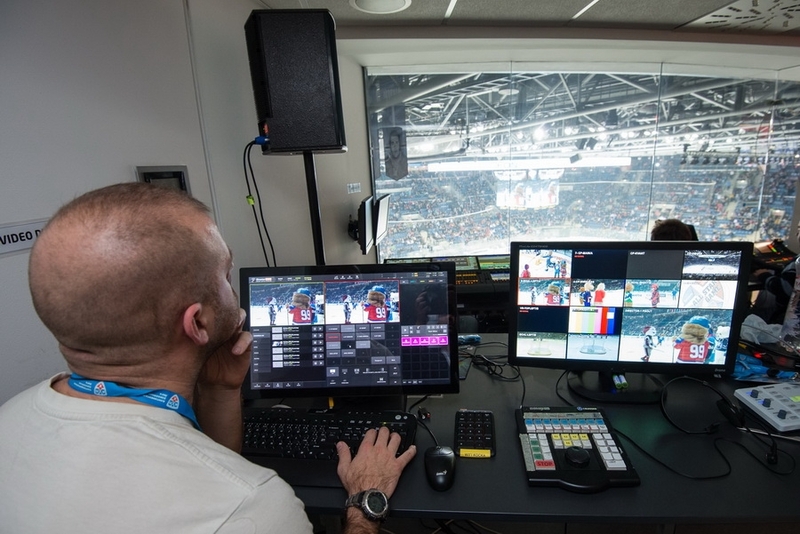 Cameras roamed the ice, capturing the thrills and spills of the competition and delivering shots to screens throughout the arena. 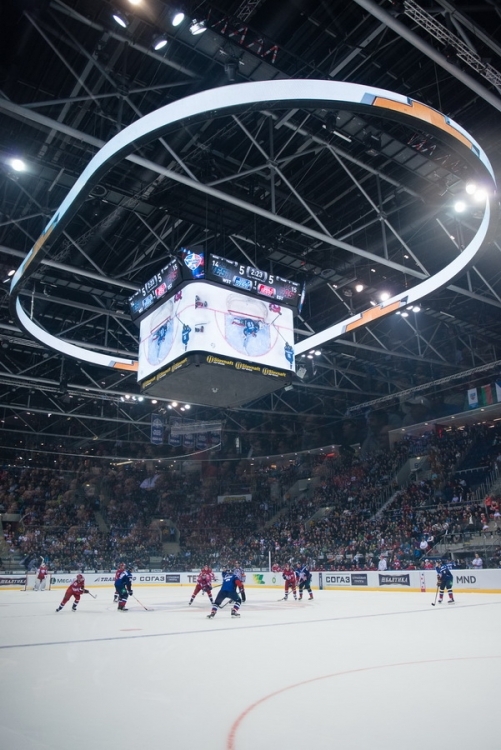 Fans could follow the action on their mobile devices by connecting to the arena’s Local Area Network set up by Colosseo and then using Colosseo’s iOS or Android App. 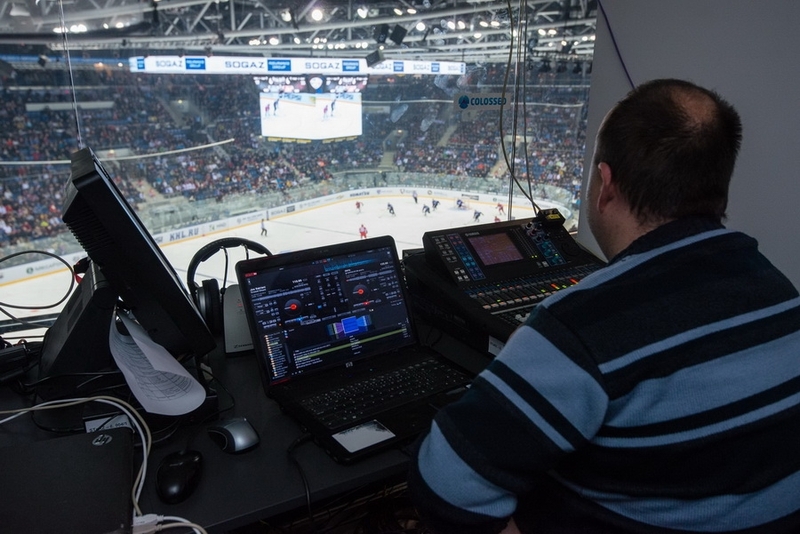 Both Apps let fans look at live game statistics, see replays from any camera on the ice and check replays at their leisure. 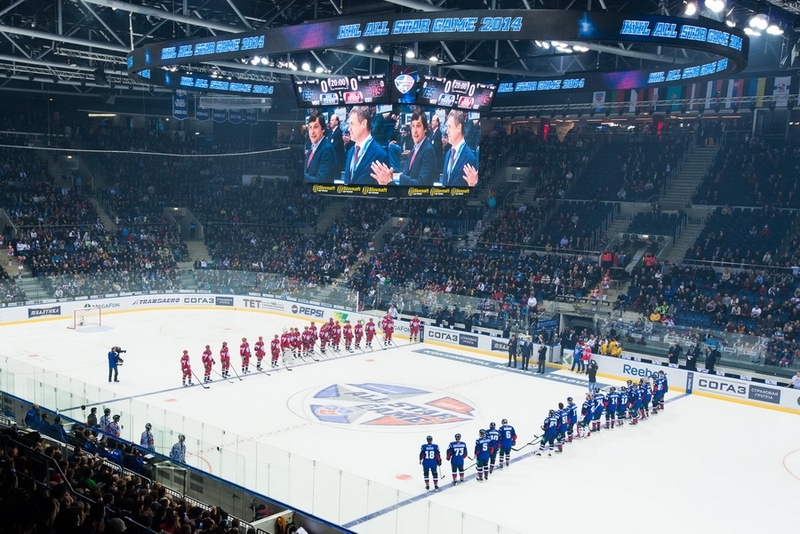 It was certainly a day to remember, a fun-filled day of ice-“hockey” entertainment that was a thrill for both players and fans.